It’s that time of the year. Time to round up some of our favorite author blogs of 2011. Some of these author blogs will be familiar, while others are just some of my personal favorites. Each author has spent a considerable amount of time connecting with their fans through their blogs. For some of them, their blog is how they launched into the writing world. 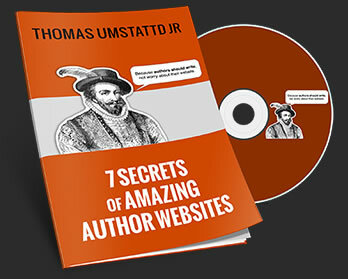 For others, their blogs came to being after they had a book published. All of them know that keeping a blog is important. Don’s books start on his blog, edit themselves on his computer, and finish once they reach the hands of his followers. He’s a great example of a best-selling author who continues to have conversations with his fans. Jon went from being a copywriter on a auto-trading website to one of the most successful bloggers. His most recent book, Quitter,is a great resource for anyone who has a dream of working for themselves or being an author. The advice he gives isn’t what you’d expect. Pick up a book and subscribe to his blog. The former head of Thomas Nelson, Michael Hyatt continues to be one the top authorities about the book publishing industry. What most people don’t realize is that he’s penned best-selling books as well. If you want to be published, subscribe to his blog. Tricia is one of the best examples of an author doing all the right things through social media. She’s always leveraging her blog through Twitter, Facebook, and radio interviews. If you have a blog and a book deal, she’s a great case-study on best practices. Mary is an author who does more than just write books. She gives back to the writing world by mentoring other authors. Which is a great thing if you ask me. She’s another author who is a case study in doing things right in the social media world. And in social media, your author blog is your foundation. Emily is another blogger who successfully built a platform that attracted publishers. What started off as a simple blog soon turned into a way to make a name for herself. She’s a great example of the power of a blog and a woman with a dream. Pete is the pastor at one of the largest churches in Nashville, TN. He’s also penned a book. He uses his blog to challenge, encourage, and inspire his readers. He’s a very busy guy but he makes time to connect with people. That makes him one of the most approachable pastors out there. Or at least on the internet. The marketing world would not be the same without the work of Mr. Godin. His daily blog makes its way into the inboxes of thousands of people every morning. If it isn’t on your must-read list, put it there. Now. It will change your life. Mr. Gillbeau is responsible for the cult of “The Art of Nonconformity.” He’s a great example of what people can achieve with hard work, determination, and an extra dose of creativity. His website has inspired thousands of people around the world. He’s helped people start micro businesses and become globe trekkers. Need one more example of a great author blog? Try Tim Ferris. He’s the controversial author who has “hacked” his way to success. Love him or hate him, the man knows how to connect with his readers. While he might not blog regularly, his posts go viral when he does. What author blogs would you add to this list? Need help building your own author blog? Author Media can help. Contact us for a free consultation.